Ladies and gentlemen, consider this a formal goodbye. The apocalypse is officially upon us. How do we know? Because of what you're about to read here. 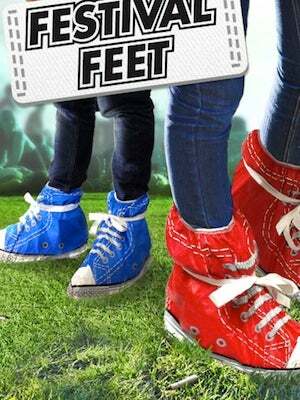 Festival Feet is an actual product available for sale. In case that's unclear, we mean that someone is requesting money in exchange for this item. We're not even going to ask if you would wear these — unless of course, your answer to that question is yes, in which case, you are either hilarious or in need of immediate medical attention. Photo: Courtesy of Spinning Hat.